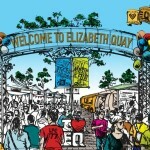 After decades of discussion and debate about connecting the Swan River to the city, Premier Colin Barnett and Planning Minister John Day have today officially opened Elizabeth Quay. The Premier said Elizabeth Quay was a free space for all West Australians and visitors to our city to enjoy. “When the Liberal National Government was elected in 2008, I pledged that we would be a government which made decisions and one of those was Elizabeth Quay,” Mr Barnett said. 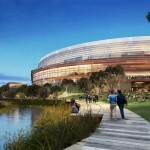 “I am pleased to now see it come to fruition and for the people of Western Australia to be able to enjoy this fantastic public space. 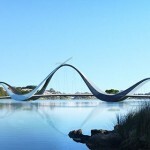 “This project fundamentally changes the face of Perth; it connects us to the Swan River and provides a huge boost to the vitality of our city. We have come a long way over the past decade and West Australians have a lot to be proud of. I am delighted that the public can now see what years of planning, creative development and hard work by many people has achieved. Mr Day said Elizabeth Quay was a once in a generation project that changed the physical and cultural landscape of our city. 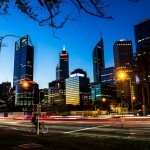 “Together with Perth City Link and the Riverside project, Elizabeth Quay is a key part of this Government’s vision to progress Perth as an internationally competitive city for the 21st century,” he said. “My aim for this project was to deliver a space that all West Australians can enjoy, from family friendly activities; to a place workers in the CBD can grab a bite to eat; to a unique destination you can be proud to take visitors to the State, and I believe we have achieved this. Mr Day said he expected an excellent return to the State from the sale of the land surrounding the public realm, with about half of the project’s initial cost of $440 million to be recouped. “Land sales at Elizabeth Quay have been very successful. More than $89 million has already been returned through the sale of lots to the Far East Consortium and Chevron Australia,” he said. 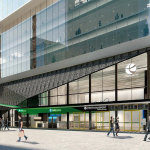 “The Metropolitan Redevelopment Authority is also working with Brookfield Multiplex on Lots 5 and 6, and CA & Associates Pty Ltd, who have just been selected as the preferred proponent for Lots 2 and 3. The remaining lot (4) will be home to the Perth International Arts Festival and other events until it is released for sale in line with market demand. “The financial benefit goes well beyond the sale of land; the project has also generated about 4,000 direct and indirect jobs during the nearly four-year construction, and is expected to attract $2.2 billion from the private sector. The Premier and Minister were also joined today by BHP Billiton Iron Ore president Jimmy Wilson to open the new BHP Billiton Water Park. BHP Billiton provided $10 million for the family-friendly interactive water park, which covers almost 500 square metres. “Elizabeth Quay has been designed as a place for all West Australians to enjoy and the BHP Billiton Water Park is a wonderful family experience for the community,” Mr Barnett said.